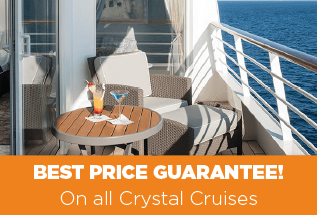 The cornerstones of the Crystal Cruises experience are quality six-star service, melt-in-the-mouth food and plentiful entertainment - something that is normally associated with larger ships. Expect big wine cellars, more bars, casinos, sushi bars, sports and fitness facilities, Broadway-style shows and extensive enrichment programmes. Whilst Crystal Cruises offers plenty of the features expected in modern cruising, such as 24-hour Wi-Fi, they have still kept elements of tradition with daily afternoon tea and assigned seating at dinner, for those who want it. All-inclusive board is offered across all the ships. Take your pick from fine wines, Champagne, spirits and coffee. 24-hour in-suite dining, pre-paid gratuities, selected specialty dining and complimentary laundry are also included. The Crystal Difference • What's Included? 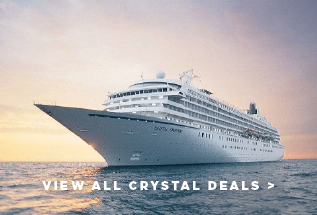 The Crystal Cruises fleet is a mixed one, with two luxury ships for ocean cruising (Crystal Symphony and Crystal Serenity), one yacht (Crystal Esprit) and five all-suite river ships. 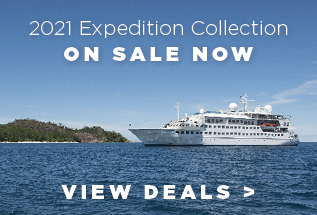 A large expedition yacht named Crystal Endeavor, is launching in 2020, and more ocean liners are scheduled for 2022. 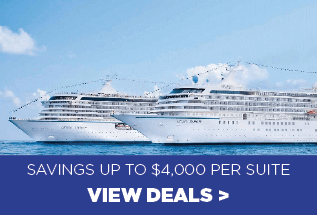 Crystal Cruise’s two ocean liners are some of the largest luxury liners at sea. Though don’t let their size fool you, they still have one of the best guest-to-staff, and guest-to-space ratios at sea.